It’s no secret; watching what you eat and controlling your portion size can help you lose weight. In fact, a 2004 study revealed that 38 percent of overweight participants who practiced portion control lost five percent or more of their body weight over a two-year period. Meanwhile, 33 percent of study participants not practicing portion control ended up gaining at least five percent of their body weight. The numbers are cut and dry, but how can you control your portion sizes when everything you see is ‘25% More for Free’ or has misleading nutrition labels stating the calories and fat for one biscuit, chocolate square, and so on as if you can really eat just one? Have no fear! Despite the continual trend towards bigger portion sizes, it’s still possible to reign in your portions and shed those pesky kilos without starving and feeling hungry every hour of every day. Planning your meals and snacks each day is an easy foolproof way to avoid overindulging and stay on track. After cooking and preparing meals for the week, divide them into containers for lunch the following day. Also, portion out your snacks into Zip Lock bags for each day of the week. 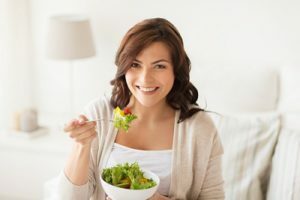 By doing so, you’ll not only put to bed the question of what to eat each day, but you’ll also control your calorie intake and how much you consume. Before sitting down for lunch or dinner, drink a tall glass of water. This will fill your stomach and reduce your likelihood of overeating. Plus, dehydration has been proven to cause hunger, so drinking a glass of water may rid your hunger pangs altogether. Fibre is crucial for healthy digestion, but it also fills you up and promotes a feeling of satiation. Not a fan of Metamucil or Shredded Wheat? 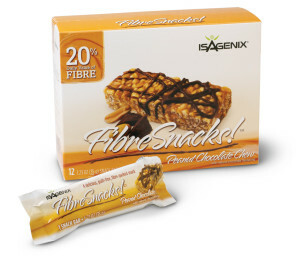 Isagenix Fibre Snacks are a great alternative and a tasty way to increase your daily fibre intake. Eating a variety of fruits, veggies, proteins, whole grains, and legumes is one of the keys to feeling full and reducing the amount you eat. 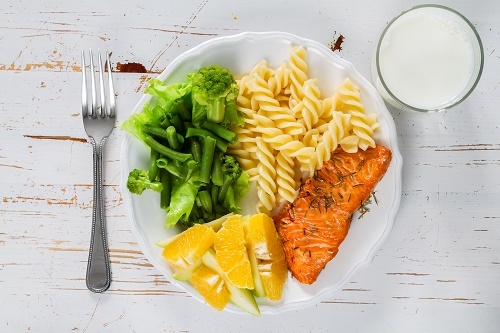 When preparing dinner, make sure to leave half of the plate for fruits or vegetables and split the remaining plate space between proteins and legumes or whole grains. This will help ensure you eat a well-balanced diet and reach satiety. Although variety is essential, limiting your food options will also help control how much you eat. How so, you ask? It’s simple; the more options you have, the more food you’ll want to try. In one study, two different groups were given jellybeans as a snack while watching a movie. One of the groups received a bunch of jellybeans all jumbled together. The other received jelly beans neatly divided by colour into six different compartments. The first group ended up eating nearly twice as much! Eating slower gives your body and brain time to align and register what you’re eating, helping you feel fuller while eating less. So, rather than just diving right into a meal, think about the eating process, take a few extra chews per bite, and even try putting down your utensils after each and every bite you take. This will help you slow down and enjoy the taste of your food. If a big bag of chips or cookies is too tempting, try buying individual-sized bags and only eating one bag per sitting. If you lack the will power to avoid reaching for another mini bag, try Isagenix Snacks or IsaLean Bars instead. Not only are they designed to satiate your hunger, but they’re much healthier, so you won’t overdue your calorie count by going for another. In addition to the health perils of being a couch potato, TV is a distraction that often leads to overeating. In fact, the more TV you watch, the more likely you are to eat. In one study, participants who watched an hour-long TV show ate 28 percent more popcorn than those who watched a half-hour show. If you regularly eat until you’ve cleaned your plate, use smaller plates. A serving of rigatoni or anything else will look like a big meal on an eight-inch plate. However, on a 12-inch plate, the same serving size will look meager in comparison, making you more likely to heap on another serving. Studies back this up as well. In fact, when study participants were told to help themselves to cartons of ice cream and were given large and small bowls, the participants with the smaller bowls ate 31 percent less. The colour of your plates may also play a role in how much you eat. According to research, if you’re eating chicken Alfredo on a white plate or another food with little colour contrast, you’re more likely to eat more. If you want to eat less, choose plates with high contrast to the food you’re placing on it. For Alfredo sauce, go with a red plate. For marinara sauce, opt for a white plate. You get the idea. Whether you’re eating out or cooking at home, these powerful portion control tips will help you enjoy nutritious and delicious foods while staying on track to meet and maintain your health and weight loss goals. Making Money with Isagenix – Can I Be Successful?